In the year following the official end of the Great Recession in June 2009, foreign-born workers gained 656,000 jobs while native-born workers lost 1.2 million, according to a new analysis of U.S. Census Bureau and Department of Labor data by the Pew Hispanic Center. As a result, the unemployment rate for immigrant workers fell 0.6 percentage points during this period (from 9.3% to 8.7%) while for native-born workers it rose 0.5 percentage points (from 9.2% to 9.7%). Hispanics experienced more significant setbacks in the recession than other groups. For native-born Hispanics, the recovery continued to generate losses that were greater than average. However, immigrant Hispanics, who account for half of the foreign-born workforce, made notable gains in employment from 2009 to 2010. That is, if you are a native-born Hispanic you continued to suffer. But if you are a foreign-born Hispanic, you are doing well. I think we are seeing this phenomena because the labor market is more free between employers and non-US citizens. 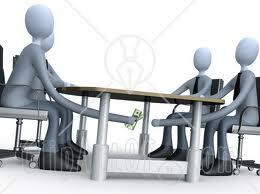 There s more freedom to negotiate compensation. The citizen is forced to go into a job interview knowing that the government regulations placed upon a job may already raise the “cost of employment” above the productivity that worker can deliver. And when THAT happens, he desn’t get the job. The weekly earnings of workers during the recession and the initial stage of the recovery were generally stagnant. However, foreign-born workers experienced a sharp decline in earnings during the recovery even as they managed to boost their employment. Though they were able to get more jobs, they had to sacrifice compensation to do so. Something that is not available to the US citizen due to government regulations. This entry was posted in Economics, Economy, Immigration, Politics: National and tagged Recession. Bookmark the permalink.